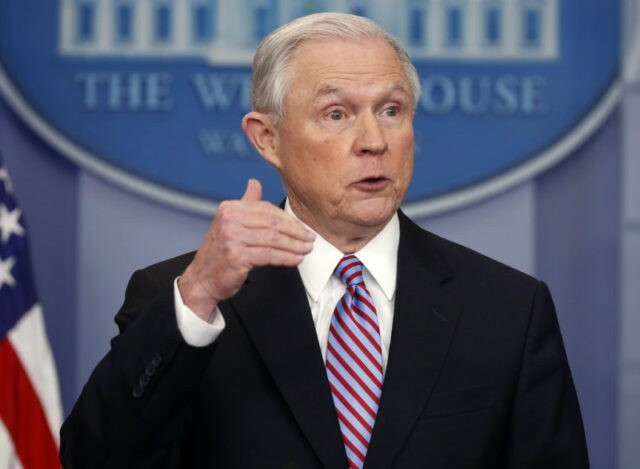 4 May 2017 WASHINGTON, D.C.
President Donald Trump signed an executive order on Thursday reiterating the administration’s commitment to religious liberty and authorizing Attorney General Jeff Sessions to issue guidance for all federal agencies. The text of the actual order hands authority to issue guidance on federal religious liberty law for all federal agencies to Attorney General Jeff Sessions. The protection of religious freedom has been seen as a priority for the new Sessions-led leadership at the Department of Justice. Due to the broad interpretive power of federal agencies, this guidance authorization could yield major changes in federal policy as it relates to the exercise of religious beliefs. For example, the Justice Department, through existing authority, has already been able to halt the implementation of the previous administration’s transgender policy for schools. The order also specifies that the Department of the Treasury and other federal agencies should not pursue adverse action, most prominently revocation of tax-exempt status, based on the speech of religious individuals and organizations in relation to moral and political issues not “ordinarily … treated as participation … in a political campaign.” This language may give religious leaders more leeway in speech on articles of faith, like biblical positions on homosexuality, marriage, and transsexualism, that have entered the public discourse as hot-button political issues, without fear of losing their tax status. The order also directs the Secretaries of the Treasury, Labor, and Health and Human Services to revisit regulations issued by their agencies relating to “preventative-care” mandates under Obamacare. The specific section referenced in the order has been used by these agencies to require religious employers to provide contraceptives and other types of services in contravention of their beliefs.